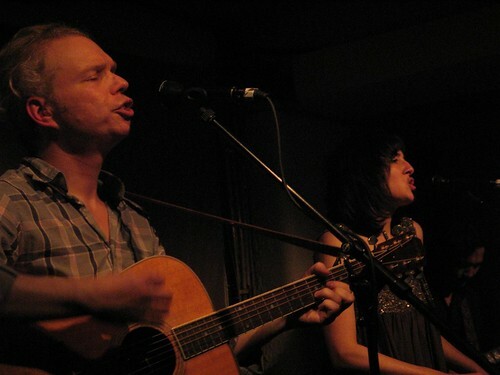 This week Damon & Naomi played twice in London. 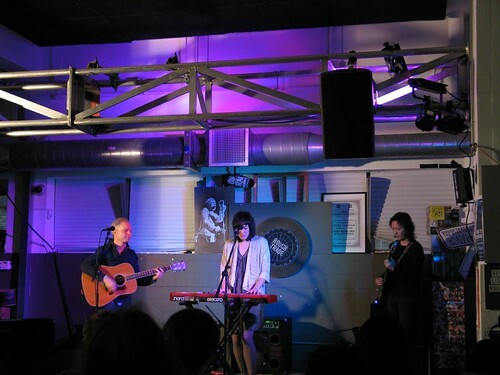 On Tuesday the duo, accompanied on this tour again by Kurihara, took to the stage at Rough Trade East for a short in-store performance... shorter for me as I got the start time wrong and was carrying out my family's demands that I bring home bagels from the wonderful 24 hour Beigel Bake. I missed the first song but caught the remaining four or five songs (I really should keep notes) that included Ueno Station, The Well, a couple of songs from the new album and a cover of The Rolling Stones' Shine a Light. Quick chat with Damon & Naomi and a nod to Alun of Broken Horse (who have released the new Damon & Naomi album in the UK - and got it on the radio!) then the long ride home to deliver the bagels. The next night the Damon, Naomi and Kurihara played a well attended show at Cafe Oto in Dalston. 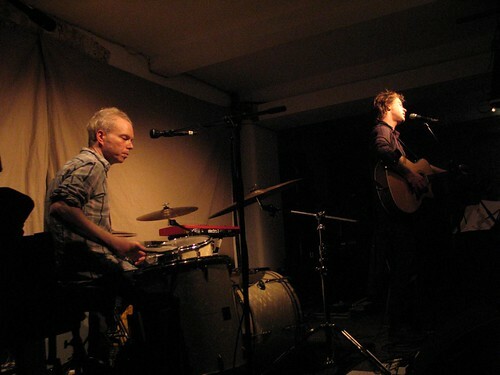 The evening opened with a rare performance by Richard Youngs, accompanied on drums by Damon, his first live appearance behind a kit in London for many years. Damon guests on Mr Youngs' forthcoming album. Damon & Naomi opened with Shine a Light and played and joked and chatted their way through another lovely evening. They have become very comfortable performers. Nice set, lots of highs including a cover of Galaxie 500's Blue Thunder which was (as always) a treat. Evening over and a painfully exhausting 15 mile ride into a southwesterly. I'll take the opportunity to once again bemoan the lack of gig venues in the West of London. These days almost no one plays here (and less so since the demise of the lovely Luminaire). The East scares me, with it's tats and dreads and rollies and fixies and knowingly hip folk... always a relief to be back in the uptight West.